Hello everyone and welcome back to Party in Your PJs! We’re so glad you’ve taken the time to join us! Christmas is now officially less than one week away. Does that thought create a little panic or can you just smile and relax because you’re ready. I have a couple small things to do, but not too much. I’m not hosting Christmas dinner this year, which is great because I’m ready to take a break from that role! There are so many wonderful posts linked up each week, it’s hard to choose which ones to feature. I appreciate everyone that links up! 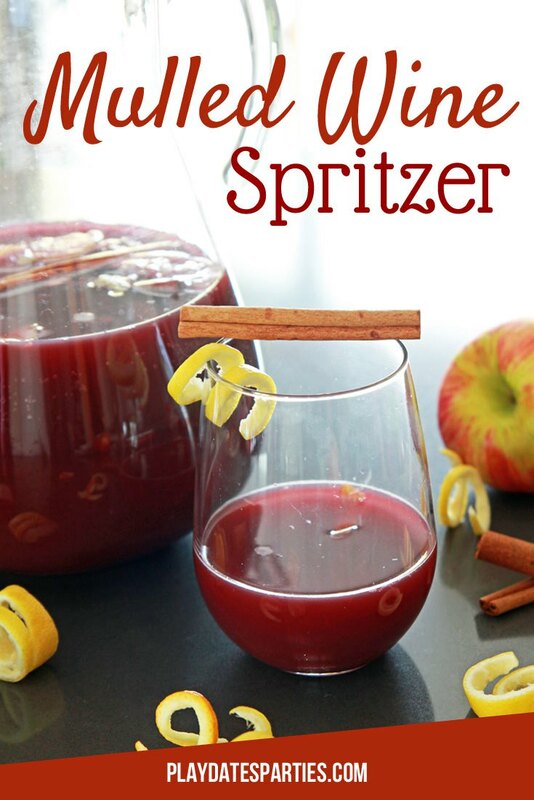 My first feature from last weeks party is this Mulled Wine Spritzer from Leslie at Play Dates to Parties. It sounds like the perfect addition to your holiday parties! 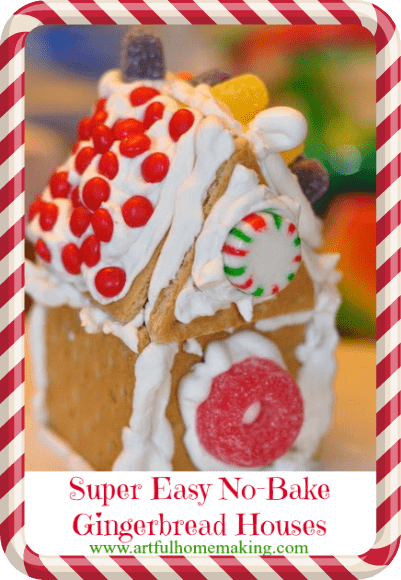 My second feature is these Super Easy No-Bake Gingerbread Houses from Joy at Artful Homemaking. My grandchildren would love to make this! Leslie and Joy, please copy and paste this button to your sidebar! Link up a post and show us what you’ve been up to, then check out and comment on some of the other posts linked up. We all love comments! Party in Your PJs will not be held next Tuesday, 12/26/17 because of the Christmas holiday. I hope each of you have a wonderful Christmas! Thank you for your kind words and for linking up with us Marilyn! Thank you for letting me join the party! I hope you have a wonderful Christmas next week and enjoy the little break away from here you have! Merry Christmas to you too Natalie! 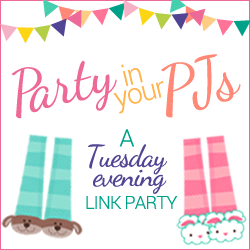 Thank you so much for linking up with us on Party in Your PJs! I look forward to seeing you back again on Jan 2, 2018.